White Castle Sells Wedding Rings? When I think of White Castle I think of love and affection. 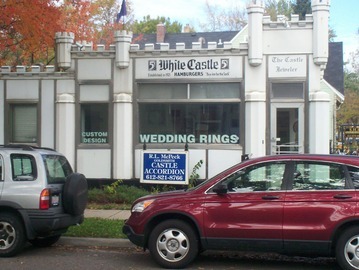 If you’re in the market for a slider or an engagement ring, the White Castle/Castle Jeweler is on the Corner of 32nd and Lyndale in Uptown, Minneapolis. If you like this picture, then you'll probably like this Web site.